Happy SysAdmin Day to our Great Cloud9 Tech Team! It’s the 25th of July, which means it’s Systems Administrators Appreciation Day once more. SysAdmin Day is a special day each year where SysAdmins around the planet say to each other “Wow, we can hardly believe that we all made IT yet another year”, and everyone else forgets that this has been a thing for 14 years. In spite of the inevitable apathy of SysAdmins’ coworkers and employers, IT vendors large and small have embraced this internet holiday soiree with glee. 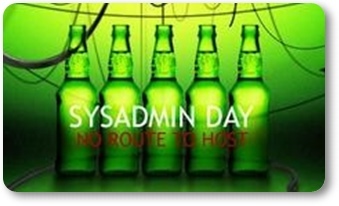 The modern tradition of SysAdmins Day was created by Ted Kekatos and first celebrated on 28 July, 2000. It is celebrated on the last Friday in July and is supposed to include demonstrations of appreciation for the systems administrators who are critical to keeping the digital infrastructure supporting our entire society up and running.